Mr. Sirshendu completed his Bachelor of Applied Science in Psychology in the year 1996 and Master of Science in Applied & Industrial Psychology from the University Of Calcutta in the year 1998. He is a Human Resources professional with 18 years post qualification experience with competencies across HR Strategy, Learning and Development, HR Business Partnering, M&As, Change Management and HR Restructuring. He has a wide range of experience in the industry working in Food and Beverages, Consumer Durable, Science & Technology, and IT industries. He was last associated with TATA Coffee as Head HR, CSR & Admin. 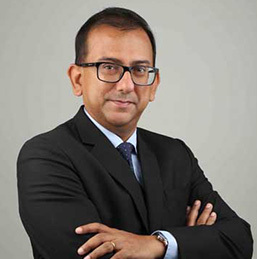 During his career span of 18 years, he was also associated with Danaher Corporation (DHR Holding), Nokia India, Tata Consultancy Services (TCS) Ltd., TATA Sons Ltd., TIL Ltd.